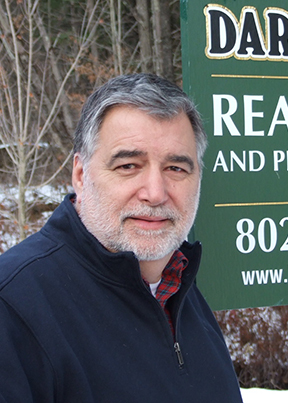 In 2016, Richard Spanjian joined Dark Horse Realty as a real estate agent. For years, Richard was involved in over 25 real estate transactions for both his personal homes and businesses. He was also involved in real estate through his wife Marilee’s company, Tapestry Builders, in Tennessee. He held executive management positions in sales and marketing, as well as product development in the athletic shoe and clothing business for various companies, including Adidas, Saucony and Stride Rite. In 2012, Richard and Marilee moved to Vermont to buy and operate The Inn at Weathersfield, a farm-to-table inn, restaurant, and cooking classroom in Perkinsville.